Microplastics are the small pieces of plastics less than 5mm in length and these small particles pollute the environment. Microplastics are present in a variety of materials like cosmetics, synthetic clothes, plastic bags, water bottles, etc. Microplastics are one of the biggest problems in the environment. Microplastics enter our environment and also in our food chain but microplastics are not limited to industries or clothing, cosmetics, etc. However, they contribute to major microplastics. Microplastics are classified into primary microplastics and secondary microplastics. Primary microplastics are the microplastics that are in the form of in microfibers, microbeads or pellets. The main source of these types of plastic is cosmetic and clothing industries. Secondary microplastics are the microplastics created by the breakdown of a plastic piece. When the plastic is degraded it is broken down into smaller pieces and in this process, it releases harmful chemicals used to harden them and these toxic chemicals can easily come into the food and water we consume. 1. 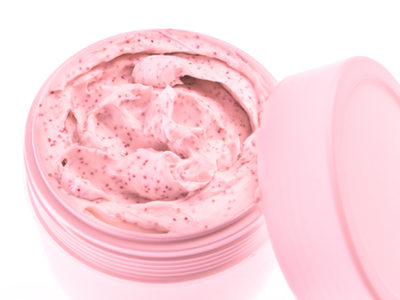 Cosmetic Industries: The waste from cosmetic industries is in the form of microbeads and these are often found in face washes, handwashes, and other beauty products. And they end up in sewage maybe later in oceans. 2. Clothing: Each clothing fabric or synthetic fabric can shed more than 1900 fibers of microplastics and that's why dumping of these clothes or wearing directly affects us. 3. 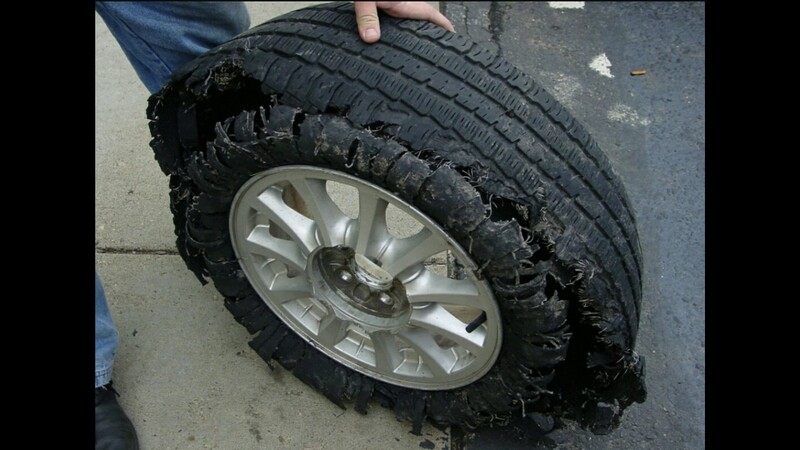 Wear and tear Car and truck tires: Wear and tear of tires can contribute much in this race. In Denmark, the emission of microplastics is between 5500 to 14000 tonnes each year due to this. 4. Sewage treatment methods: Microplastics are detected in sewage treatment plants and the accuracy of eliminating the microplastics is 99.9%. That 0.1% of microplastic is in the filtered water. And that removed microplastic might end up in the ocean. 5. 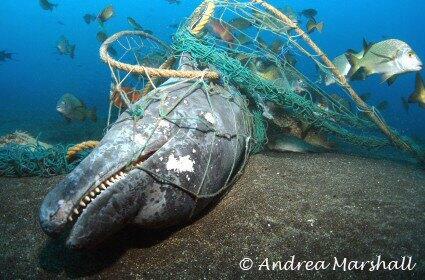 Fishing industries: Fishing gears and nets are the main sources of plastic wastes by fishing industries. Many nets and gears have been found in the stomach of fishes. 6. Water bottles: 93% of the bottled water is contaminated with 11 brands of microplastics. Thus in per liter of bottled water, there are average 325plastic particles. By the things we have seen this far, you have probably got the idea why microplastics are such harmful things. Microplastics bring toxicity amongst aquatic organisms and other species including humans. Humans can also absorb microplastics. Fish and other aquatic animals eat them and they die. They eat the plastic and it can't be digested and so there is no space for actual food and they die. Plastics never completely disappear, it is broken into very small pieces and this is a bitter truth. So more plastics we produce, we will drown in it. 2018, a fantastic year for global climate change experts and scientists as the bell has been rung and if anyone asks them "is this climate change?" They can very confidently answer "Yes, it is!". We experienced major disasters and climate change events in 2018 which are sirens to us that our kingdom is going to fall soon. This is typically a good news, this is the only way public is going to take climate change seriously. "Venice is going underwater!" This is not going to have an impact on people, floods in India and Bangladesh, not gonna work. Tsunami? Yeah now we need that big slap on our face to wake up. This is what it takes to make people understand about their own world that it is dying and that kind of attention is obviously bad stuff and we should be ashamed that alarms are ringing and we are just snoozing it. Climate change has obviously changed weathers of almost all places on earth in 2018. Many people thought that it is wrong to use weather as evidence of climate change. But we shall not forget that it's weather that affects us, we feel it and live with it. Now what should an individual do about this? We all know what we can do and it's not a big job or like dying or killing for this. You just have to control yourself from being a polluting guy. Everyone knows it how. So what will the conditions be in 2019? 2019 is going to be far more noisy if we do not control increasingly man made particles in the air. USA's federal policy is making companies easier to pollute according to The New York Times. The corrupted officials who just want to make money never gonaa stop and thus no doubt 2019 is also going to be a bumpy ride and prepare yourself for an apocalypse in some decades if things are not gonna change. Many homeowners don't like to sacrifice trees for solar panels but some homeowners believe that there are net benefits of removing trees to install solar panels. Well, to know the truth we must do some math work. Reason is obvious, trees or we can say shade from trees reduces the productivity of solar panel. But as you cut down the trees, you also cut down the factory that converts carbon dioxide into oxygen. So, the question remains the same, solar panels or trees? Let's say a tree or a fully grown tree can capture up to 40 - 50 pounds of carbon dioxide per year. Some trees also capture as small as 18 pounds a year but these are average numbers. The willingness to cut down trees depends on how many number of trees are there and how much power will be generated in that particular area. We will suppose 1 acre of land and so there can be approx 4800 trees in an acre. Thus, if trees absorb 50 pounds of carbon dioxide, then 240000 pounds of carbon dioxide can be eliminated. Now let's talk about electricity generation. If we have a solar farm of 1 acre, we can definitely install 600 kW of capacity. According to US department of energy and EPA, 1 kWh of electricity produces 1.34 lbs of carbon dioxide. The solar production in 1 acre will be around 357100 kWh and so 478514 lbs of carbon dioxide will be prevented. With this numbers, we can definitely say that cutting down trees is a good option but trees are not only captures carbon dioxide but trees also work as air purifier. According to a research, you can stay 7 years younger with at least 10 trees in a city block. Thus at the end we can conclude that if you have to cut some trees for 5000 + watt solar installation, then you should go for it because on a net environmental basis you are doing the very right thing. But what if you don't want to cut trees and still be rich by solar farm? 1. Solar car ports. In this, solar panels are attached at the canopies over parking lots. So we are done here with the debate and if you are feeling guilty for cutting down trees for solar panels, you can plant some other in your backyard. Solar clothing: Charge your devices on the go! Have you ever thought of charging your mobile phone from your bag pack or your clothes? Well now modern technology is totally helping you to do just the same thing and that is generating electricity from your clothes. Here, the small photo voltaic cells are connected in order to generate electricity. When we hear this we have lots of questions about comfortability. But nowadays thin flexible solar cells are available in abundance . Here the tiny flexible solar cells are connected in series and parallel along the front and back to change an i pod or similar device. The fabric mainly acrylic based elastomers has the ultra thin solar panels of about 3 mm. in length and 1.5 mm. in width which are somewhat flexible are used. According to scientists, 200 cells can produce 2.5 V to 10 V up to 80 MW of power and 2000 solar cells smartphone, i pod or fit bit. A solar cloth is stitched with industrial techniques and in bright sunlight, it could give up to 1 W of electricity. According to a press release, you can wash these solar clothes and it is tested. In the test, the device was soaked in water for 2 hours and the efficiency only decreased by 5.4 %. If you wash it 20 times, you still have 80 % of the original efficiency. Cloth is very comfortable and solar panels adjusts to property of fabric. The weight is almost same as original fabric. Thus, this cutting edge technology can power your devices on the go. A solar panel that can generate electricity from falling raindrops has been invented and so we may see all weather solar panels that work in cloudy weather and also at night if rain in pouring. Solar industry is booming and nowadays, solar panels are available in many different shapes and sizes. Solar panels have become far more lightweight and also becoming flexible. Some of them have aesthetic appearance. The solar panels are also no doubt becoming more and more efficient. But scientists and engineers are always looking for ways to make solar panels more efficient and less expensive. Hybrid solar panel is the other innovation that can take the solar panels near to all weather solar panels. The hybrid solar panels consists of silicon solar cell and triboelectric generator (TENG) which converts the mechanical energy of falling raindrops into electricity. The applications of triboelectric generator (TENG) is generating power from walking or any other motion like running or typing. But, here it is used in nano scale and thus also known as triboelectric nano generator. Thus, by attaching a nano generator to silicon solar cell, a hybrid solar panel is prepared which can convert mechanical energy of falling raindrops into electricity. It might take time to break in the commercial market. Researchers are working on building a prototype that can power in some of the practical applications. And overall, it is a great concept and also it is viable but we can't say about efficiency yet.